Paladin – the class character of the online game World of Warcraft, one of the most easy leveling. Besides, it is one of the strongest heroes. Retro paladins pumped into the third talent tree, namely the reward. game client World of Warcraft. Use the following symbols for the pumping of retro paladins: glyph of turn evil relevant to the game in the arena and in solo use to "Otvarivanija" pet; glyph of hammer of justice use only in the third slot; as a reference, select the symbol of purification, it will help to save mana. Controversial are the symbols of seal of vengeance and obedience. Take always the following characters: seal of righteousness, salvation and exorcism. These symbols will give you the opportunity to play a strong retro paladin. 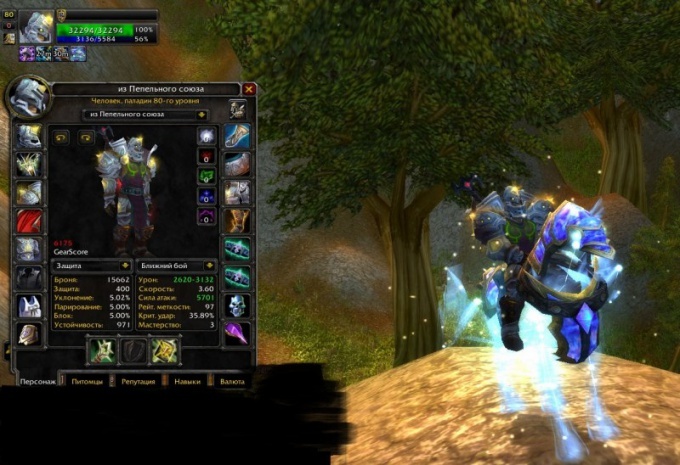 Use the following abilities in World of Warcraft, playing for a retro paladin. First, it is damaging strikes: warrior of light, justice, wisdom, justice, light, also hammer of wrath and divine storm. As use support abilities to correctly play retro paladin are: cleansing, this is one of the most basic abilities; hand of freedom, protection and sacrifice, and the sacred victim. For effective games for retro paladin you will need defensive abilities: sacred shield, divine shield, divine protection and hand of salvation. Pick up equipment when pumping retro paladin taking into account such factors as: the setup, in which you play, personal preference, the things high level. Sharpen things to the resistance. It is desirable to have in inventory 1000 – 1350 Rees. You need things with priority trinkets, the fury of the captain, ashen band of endless power, Bracers of the claw of the Northern bear, necklace An of kahar. Put in blue sockets Regal fear. Use Addons to increase the flow of useful information and place it in a convenient place on the screen. X-Perl is a frame which has an excellent display of buffs and debuffs. Dominos – substitute bars, easy to settings. Also use the addon OmniCC to display the cooldowns of all possible.